Among those drugs that successfully navigate FDA approval, said Barbara Gilmore, transformational health senior industry consultant at Frost & Sullivan, are 10 in advanced clinical phases. One is Syndros, already approved for anorexia in people with AIDS and nausea and vomiting caused by chemotherapy. Syndros is in Phase III in the U.S. for LGS and Dravet, as well as epilepsy and infantile spasms, and Phase II for cocaine addiction and generalized epilepsy. Three other drugs are in Phase III: Tetra Bio-Pharma’s PPP001 (THC 9.5% and CBD 2.5%) for complex regional pain syndrome; AOP Orphan Pharmaceuticals’ Canemes® (nabilone), seeking to add pain to its approved indication of preventing nausea and vomiting in chemotherapy patients; and Corbus Pharmacueticals’ lenabasum (a cannabinoid receptor type 2 or CB2 agonist) for systemic sclerosis. Tetra said June 10 it expects to complete its trial in Q4 2018 or Q1 2019, and file for approval in Q1 2019. Corbus said May 10 it is recruiting patients for its 52-week study, called RESOLVE-1, and expects to report topline results in the first half of 2020. 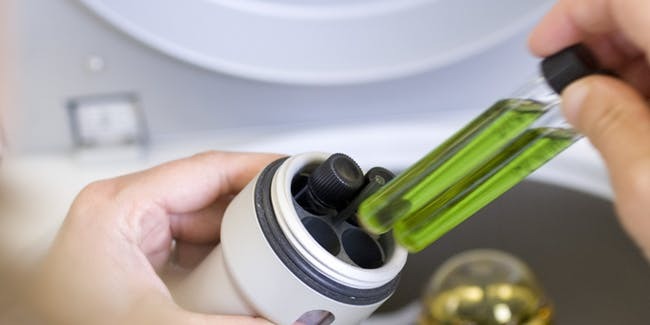 Zynerba on July 5 said it will refocus its development efforts and investment on ZYN002 and away from its prodrug of THC, ZYN001, after it missed its primary endpoint in a Phase I study. GW Pharmaceuticals has yet to announce a price for Epidiolex, which will be marketed in the U.S. through its subsidiary Greenwich Biosciences. “The next step is to get the drug rescheduled, and then we will communicate what price we set for it after that,” Schultz said. Pricing is one of several key challenges that developers will need to surmount in order to successfully develop and commercialize cannabis-based drugs, said Edward M. Bednarczyk, Pharm.D., clinical associate professor, pharmacy practice, at University at Buffalo, The State University of New York. Other challenges include: How quickly companies can develop synthetic cannabinoids that work better than those extracted from cannabis itself, how well companies meet the FDA’s traditional benchmarks of safety and efficacy, and how willing payers are to pay for cannabis-based drugs. “The biggest hurdle is the costs that go into rigorous clinical trials that establish safety and efficacy. It’s not as easy as one might think to prove that a drug works and is reasonably safe,” said Dr. Bednarczyk—who is also director of the University at Buffalo Center for Health Outcomes, Pharmacoinformatics, and Epidemiology (cHOPE). Insurers have shied away from paying for cannabis products that haven’t been FDA-approved, making reimbursement another huge challenge, he added. According to Steven Schultz, vice president, investor relations, at GW, the Company is in talks with payers but has yet to reach reimbursement agreements for Epidiolex. Epidiolex’s approval has developers of cannabinoid-based drugs anticipating agency authorization of their own products. One such company is AXIM Biotechnologies, which develops and produces cannabis-based pharmaceutical, nutraceutical and cosmetic products. This week, RF (Renger) Witkamp, Ph.D., of the University of Wageningen, was to present results from a Phase IIA trial of AXIM’s CanChew® Plus 50 mg CBD functional, controlled-release chewing gum for severe irritable bowel syndrome (IBS) at the 28th Annual International Cannabinoid Research Society (ICRS) Symposium, held June 30 – July 5 in Leiden, The Netherlands. CanChew, an industrial Hemp­–derived CBD-rich chewing gum, is available in all 50 U.S. states and 40-plus countries as a nutraceutical sold as CanChew Gum™. “We had quite compelling results, which behoove us to continue with a Phase IIB, and then go to Phase III, which also gives us the hope that we will also be successful in inflammatory bowel disease, Crohn's disease, and also with colitis,” AXIM CEO George E. Anastassov, M.D., D.D.S., told GEN.
AXIM’s development pipeline includes MedChew Rx®, a gum combining CBD and THC that will undergo clinical trials for pain and spasticity associated with Multiple Sclerosis (MS). MedChew Rx will use a methodology the company developed for extracting and purifying THC for which AXIM last month won an allowance for its U.S. patent application 15/146,668. Yet the FDA acted responsibly in approving Epidiolex, Dr. Anastaasov added, citing GW’s positive data from three Phase III trials involving 516 patients. In the primary endpoint of the 171-patient GWPCARE4 trial, LGS patients randomized to Epidiolex showed a 44% median reduction in drop seizures vs. 22% for patients randomized to placebo over the 14-week treatment period, according to results published in The Lancet. Another Phase III trial in 120 children and young adults with Dravet syndrome showed the median frequency of convulsive seizures per month fell from 12.4 to 5.9 with Epidiolex, versus a 14.9-to-14.1 decline with placebo, according to results published in The New England Journal of Medicine. Important as those and other trial results are, Dr. Anastassov said, AXIM and other cannabinoid-based drug developers need to master another set of numbers in order to bring their products to market.